Longing for a haven is natural. The good news is it IS possible to find a true haven you long for. Everyone longs for a haven. It’s completely natural, because everyone is created with that longing. It’s the longing that nudges you with the truth that there’s something more. There’s more than just everyday life. You were created for something bigger … for a place where you belong. Forever. There’s only one way to find your true haven, though. And the longing of your heart will be met in just one way. It’s through a relationship with Jesus Christ. Going through the motions of everyday life will never fix your ache for a haven. Drowning out your longing with more possessions or activities or money or food or relationships will never fill that emptiness. 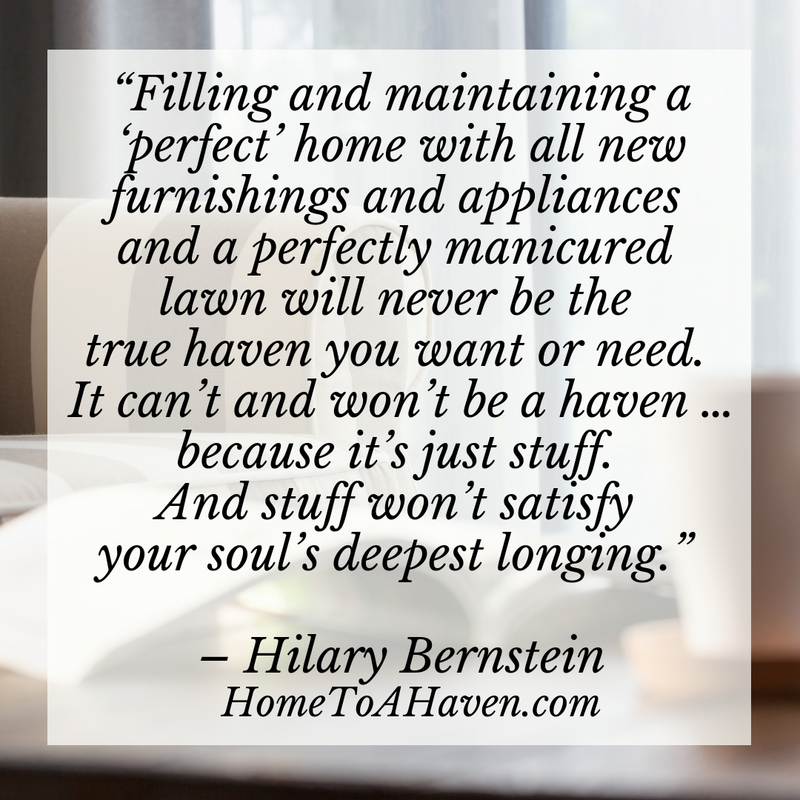 Filling and maintaining a “perfect” home with all new furnishings and appliances and a perfectly manicured lawn will never be the true haven you want or need. It can’t and won’t be a haven … because it’s just stuff. And stuff won’t satisfy your soul’s deepest longing. Once you know a true haven is possible, the next question is … how do I get it? 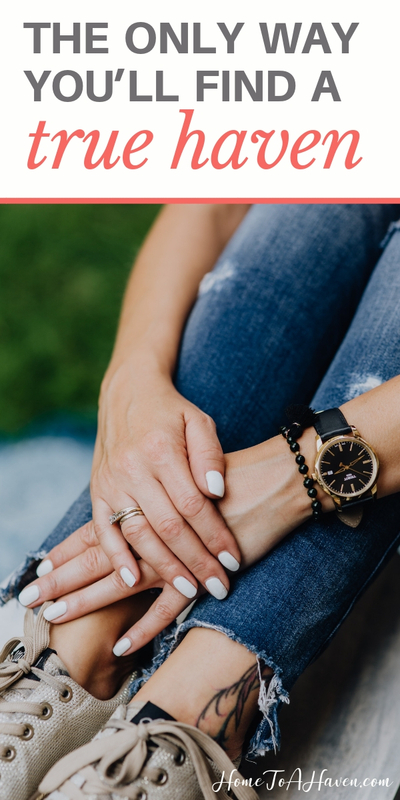 If the only haven is through Christ, what does that even mean? And what does a “relationship with Jesus Christ” look like? The first step comes in realizing that God has made you and He loves you. He created you for a purpose. You are not a mistake. Your life right here, right now is no mistake. And He created you with that longing for a haven – the longing for completeness in Him. There’s one major problem, though. Sin separates us from God. Because He’s perfect, He can’t be in the presence of imperfection … which would include each and every single person alive on the planet today, right? Because He loves us and created us, though, He also made a solution for the sin problem. If, by the way, you wonder why God would create us when sin is so very present in our lives, it wasn’t intended to be this way. Man was created without sin (check out Genesis chapters 1 and 2), but once sin entered the world (read Genesis 3 to learn more about Adam and Eve and the forbidden fruit), man’s fellowship with the Lord was broken. Seemingly broken forever and ever. But God loved us so much that He sent His Son into this world – as a tiny baby born to an unpretentious family in Bethlehem during the middle of the Roman Empire. That baby grew and grew and lived a sinless, perfect life – because He was God’s Son, sent as our Rescuer, to take away the sins of the world. A lot like today, not everyone recognized who Jesus was. While multitudes flocked to Him and believed in Him, others didn’t – including many religious leaders. In fact, they were so upset by Jesus and His claims to be God that they sentenced Him to death. Death on a cross, a cruel Roman custom of that time. Once Jesus died, everyone thought the story was over. Three days later, he rose from the dead. Now, people have been brought back from the dead before. Jesus Himself raised many people from the dead, back to life. But no one else in all of history raised themselves from the dead. Jesus did, though. And He’s alive, with nail-scarred hands and a pierced side. 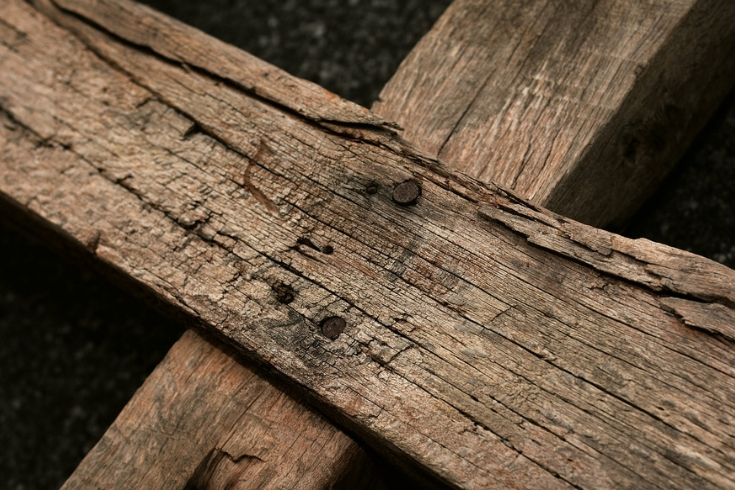 His perfect life was an unblemished sacrifice for our imperfect, sin-scarred lives. 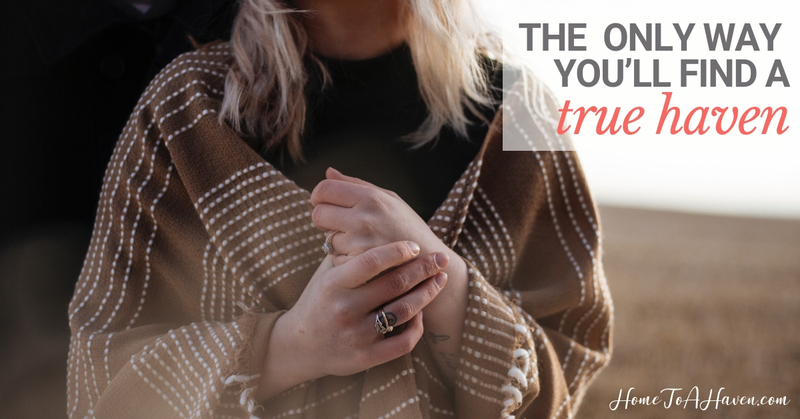 In making the choice to believe that Jesus is who He said He is – God – and that He came for you, you will find your true haven. By believing in Him and asking Him to take over as Lord of your life – and to save you from your sins (since you can’t save yourself – then He will. It’s as simple and as difficult as asking Him. Simple because you just have to ask. 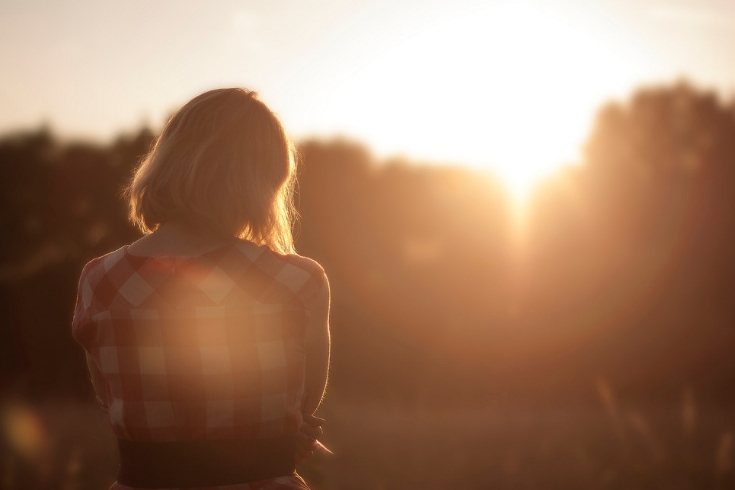 Difficult because you’re surrendering yourself – and surrender is not always easy to do. Once you ask Him, though, He’s promised you a true haven, found in your relationship with Him. And once you have that true haven, you’ll find peace and comfort that you’ve never imagined was possible. It’s the haven you’ve always longed for. Have you found a true haven with Jesus Christ? What’s life been like since your decision to follow Him?